Nourishing and soothing for healthy bright eyes. Eye life organic serum is an effective line smoother and gives you that instant wide awake eye feel, a must-have for those mornings after a sleepless night or that great party. 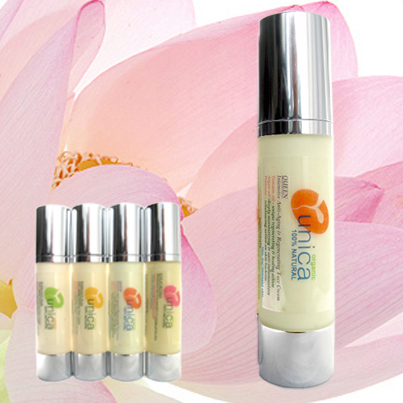 One drop of Eye Life organic eye serum and the eye area is refreshed, revitalized and toned. 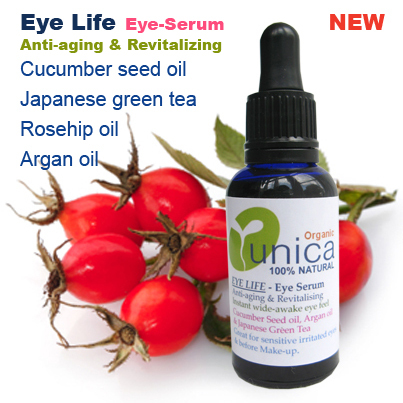 This is achieved by combining Cucumber seed oil for its soothing and hydrating properties; Rosehip oil renown for its dramatic effect on fine lines, wrinkles, scars and pigmentation; Argan oil for its remarkable anti-oxidant and moisturizing properties; Japanese Green Tea (sen-cha) a great anti-aging, anti-oxidant and antibacterial skin agent and healing Calendula. SKIN TYPES: Eye Life organic serum is light and quickly absorbed by the skin and it is suitable for sensitive, tired and irritated eyes. 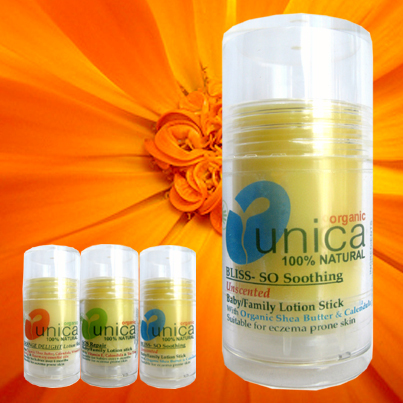 Also suitable for eczema and psoriasis prone skin. USE: Apply 1 drop to the delicate area around the eyes. For a more refreshing & cooling effect apply on skin moisten with Pura Lavender or Rose Toner. STORAGE: Cool place away from sunlight. Limonene, Linalool (natural components of essential oils).